I remember that in one of my previous post, I write that Apple iOS 9 will not support iPhone 4S and iPad mini. But today, I read a piece of new rumors that Apple iOS 9 is expected to support older version like iPhone 4S and iPad mini. Apple iOS 9 is supposed to be announced next month and publicly released in September. 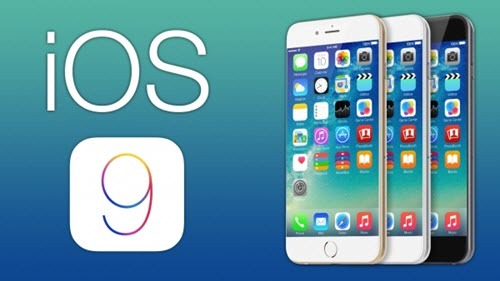 Now, it is said that iOS 9 will have improved support for devices that are more than three years old, including the iPhone 4S and iPad mini. Every new version of iOS tends to support Apple devices that are a few generations before the current shipping model. However, the oldest supported devices tend to have major lags and stability issues. For example, the iPhone 4 becomes very slow after upgrading from iOS 6 to iOS 7. And the screen size and processor used in the iPhone 4S does not play nice with iOS 8. Optimizing iOS 9 for older devices would be especially beneficial for Apple customers in emerging markets where the upgrade cycles have wider gaps. Apple developers would also have to adapt to iOS 9 supporting the iPhone 4S. For example, the iPhone 4S display has a 3.5-inch (diagonal) widescreen touch display and 512MB RAM so developers will have to ensure their apps look good on smaller screens and have efficient memory management. Apple switched to display sizes of 4 inches and above when the iPhone 5 was released. This entry was posted in News and tagged ios 9 compatibility, ios 9 new features, ios 9 rumors by IosdroneD. Bookmark the permalink.